So this isn't specifically related to a particular chapter or anything, but Unspoiled makes me want to draw lil'kid Sess all over EVERYTHING. I can't complain. Its certainly not a bad thing - I've never really drawn kids before this, so its a perfect excuse to practice. And hey - Inupapa! I've never drawn him before. I love they way you drew Inupapa!!! 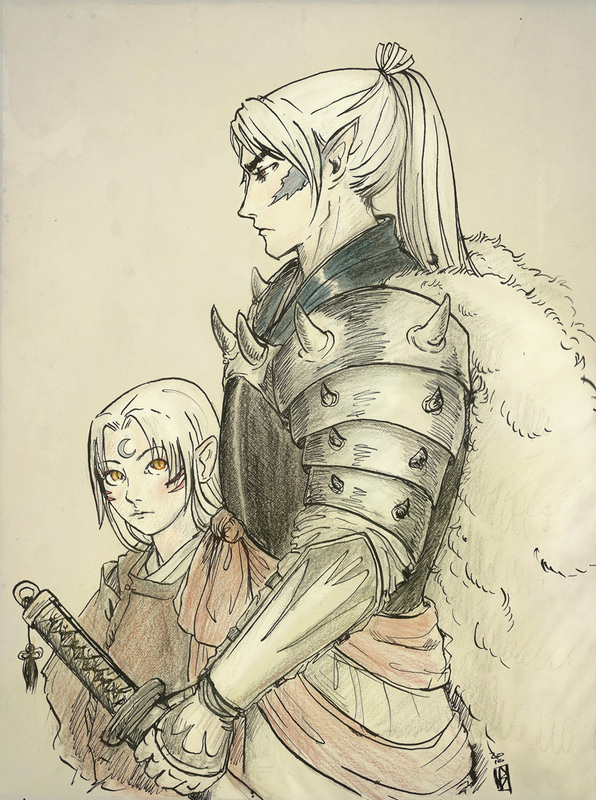 And little Sesshoumaru sure looks like he idolizes him. For never having drawn their father before you did an amazing job. Inu papa rock my world !! I saw the pic and immediately thought This is about Unspoiled!! I just read the story and I understand why there's so much fanart about it. i love the emotion in this pic and i like how it looks like it was drawn on an old piece of a scroll it gives it such more character, it gives it an older look, since sesshomaru is a young pup in this one, i like that he has a boyish innocent look about him like before all the wars had harden his heart. You are an amazing artist! I love it! OMG SO AMAZING!!!!! Such fine detail. I faved it on DA, figured I'd do so here as well. Love this piece. The Inu no Taisho looks great. Congrats on the award this quarter!